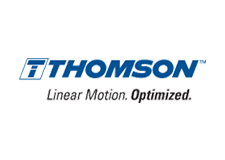 Clutches and brakes for a variety of motion solution technologies. Clutches and brakes are used to adjust the speed of rotating elements. A clutch connects in-line or parallel shafts to either start or adjust the speed of the load. 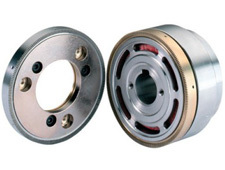 A brake is used to slow, stop, or hold the load static by transferring energy to the machine frame or motor flange. A variety of technologies are used for clutches and brakes including (in order of increasing force) pneumatic, electromagnetic, mechanical, and hydraulic. Key factors to consider include torque, diameter, response time, power budget, and cost. Work with our engineering team to determine the best solution for your application. Electromagnetic clutches provide efficient, electrically switchable operation between a motor and a load. 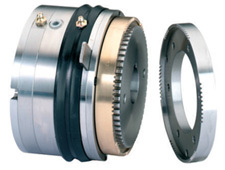 These clutches can be used with in-line shafts or with parallel shafts connected by pulleys, gears, or sheaves. In an electromagnetic clutch, current passing through a field coil generates a magnetic flux distribution that magnetizes a rotor. 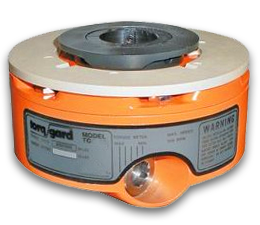 The magnetic force causes the rotor to attract an armature plate that is attached to the load. The contact between the two causes the load to turn with the rotor and drive shaft. This magnetic contact can be augmented by teeth or friction plates. When current is removed from the field coil, the armature and rotor disengage. Electromagnetic brakes operate on a similar principle. Instead of transferring force from the drive shaft to the load, however, they transfer force from the load to the machine frame, backstop, or motor flange. Electromagnetic brakes are available as power-on or power-off designs. Power-on designs are almost the same as electromagnetic clutches except that they include only a single rotating component–the armature assembly. Power-off brakes can be classed as spring-set type or armature type. In both cases, the field-coil assembly is fixed, while the rotor (spring-set type) or armature (permanent-magnet type) assemblies are secured to the load and free to turn until the brake is invoked. Spring-set power-off brakes provide a safe, efficient means of stopping and/or holding a load in the absence of power. The actual braking force is applied by the use of compression springs within a field assembly. They are good choices for either static applications or those that engage at low speed. At high speeds or high duty cycles, they can wear rapidly. Permanent-magnet power-off brakes provide an alternative. In these designs, permanent magnets apply the force to stop and/or hold the load. They are designed for high duty cycles. As a result, they have much longer lifetimes. When specifying an electromagnetic brake, it’s important to match the response time of the motor. Take care to use the correct expression to calculate torque, since different geometries will have different requirements. Also, be sure to understand the inertia generated by a rotating load, as this is a key design factor..
Pneumatic and hydraulic clutches and brakes are common industrial solutions. Hydraulic designs can develop an enormous amount of force. They can be messy to deal with, however, and require regular maintenance. Pneumatic devices are cleaner than hydraulic but they are limited in the amount of force they can develop. They are better for lighter-duty applications. If the application is not critical and compressed air is being used elsewhere on the machine, a pneumatic clutch or brake might be an effective solution. Otherwise, an electromagnetic brake or clutch is probably a better choice for those lighter loads. Overload clutches protect equipment from torque overload caused by jams or crashes. 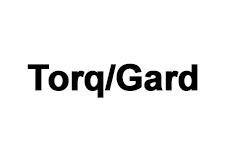 Motion Solutions is an authorized distributor of Torq/Gard overload clutches. In a Torq/Gard overload clutch, a spring-loaded cam follower seated in a single-hub cam detent causes the hub and clutch to rotate together. If torque exceeds a preset limit, the device trips, disengaging. After tripping, the unit automatically resets when it is returned to the set position, usually by jogging the machine after the jam or overload is cleared. 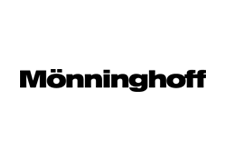 Shaft bushings are used to accommodate a standard maximum bore unit to the application shaft requirement. Torq/Gard hubs can be turned in both directions, by design. They are rated for a torque capacity of up to 8000 in-lbs and speed range of 350 to 900 RPM.